Come one – come all – to the BAIPA members-only holiday potluck party — featuring our very own member editors! Member editors have been invited to host a table where they can answer questions, provide information and hand out brochures that showcase their editing services. Everyone is also invited to bring books to put on a table for sale as holiday gifts! Bring something yummy to share (store bought food only), and be ready to have some fun while creating new business relationships! What better way to end the year than networking within our own organization to help each other move forward with our writing and editing goals! IMPORTANT NOTE: Our ending time is now 2:00 PM. That still gives us a couple of hours of party/networking/editing education time. 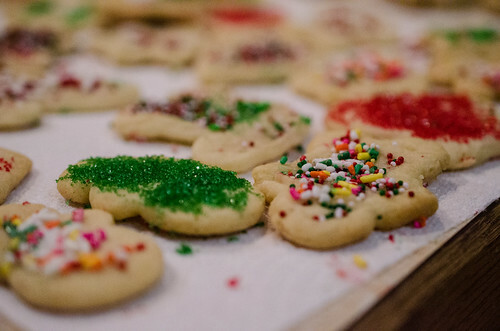 Image: “Christmas Cookies” – m01229 @flickr.com. Used under a Creative Commons license.